The circa 1800 Prest-Watson Residence and Site waited years to acquire Owners with the passion to undertake its historically accurate restoration. And, the building and site restoration required more than passion from its Owners – it required patience; the patience to assemble a team of artisans, craftsmen, and heritage consulting experts who had never before worked together on a project. 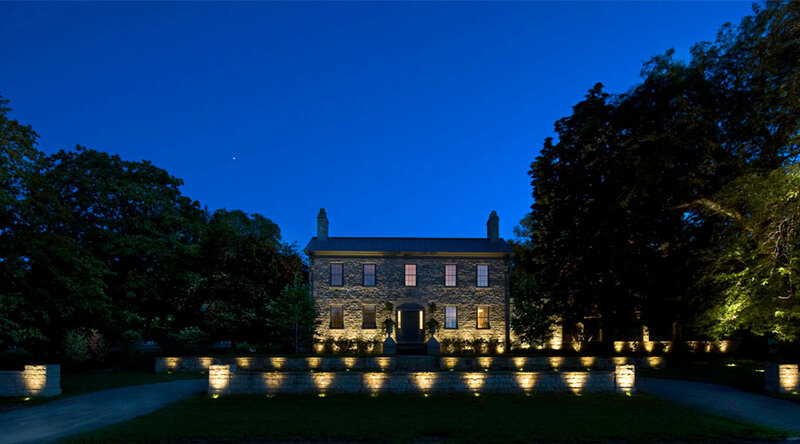 This five-year, heritage renovation in Niagara-on-the-Lake, Ontario, garnered newfound appreciation for this family homestead of the Canadian Heroine Laura Secord. The question of installing exterior lighting was an important one, as the date to which the building was being restored was 1816 and its light fixtures to 1870, when gas lighting was utilized for coach roads and no exterior lighting was used at front entrances. 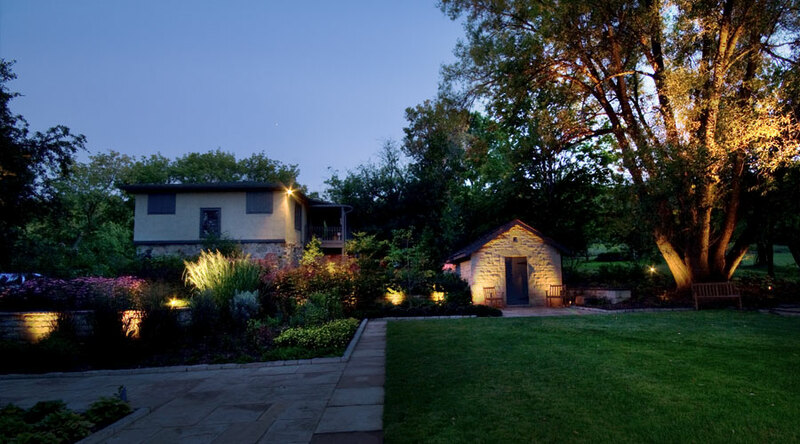 Furthermore, the Niagara Parks Commission requirements for the exterior lighting were that every source utilized be dimmable. But, the Owner was motivated by more than the historical renovation. He had walked by this decrepit property as a child and, as an adult, was disappointed that this artifact of history was ill kept, overgrown, and not truly appreciated. The Owner’s motivation extended to the sharing of this home and property with the citizens, visitors, and passerby on the Niagara Peninsula. 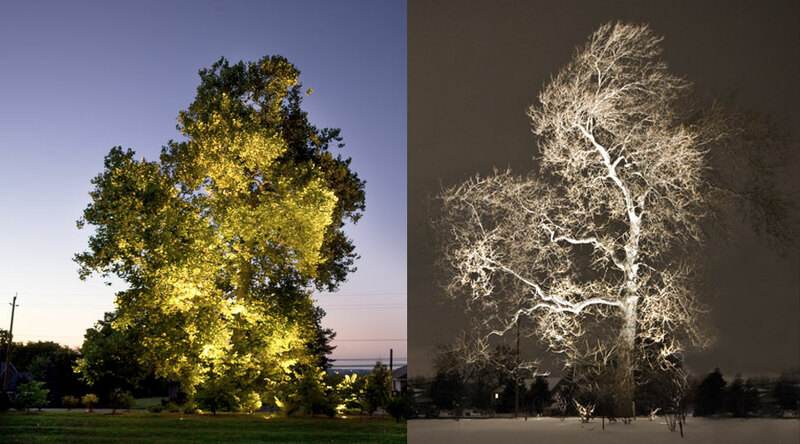 And, the new lighting was part of that giving back to the community – it assisted with the story telling and established the property as an exhibit. And, the exhibit required lighting. And, the many possibilities were culled to a small set of features that best told the story of the site. The features of construction, like the dry laid masonry. And the features of nature, like the rare plant specimens thriving on the property and terracing of the grade from receding glacial ice. 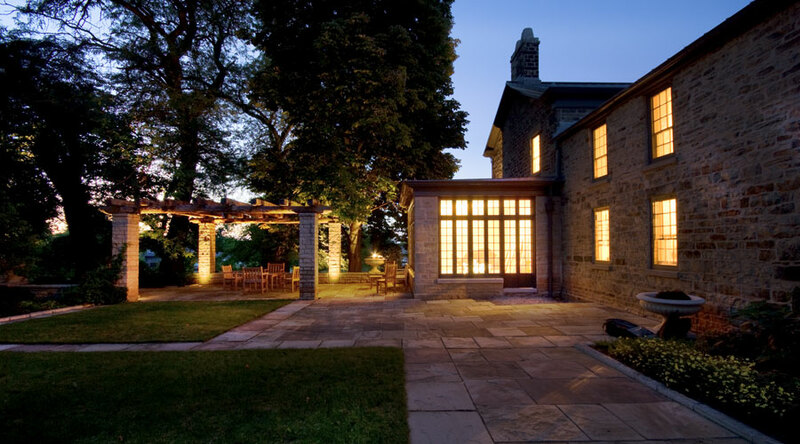 The house and hardscape are constructed from local stone; its unique color a signature for a distinct Niagara Escarpment quarry. Consistent with original construction, the surface texture of renovation work was achieved through the hand-chisel cutting of each stone by stonemasons.